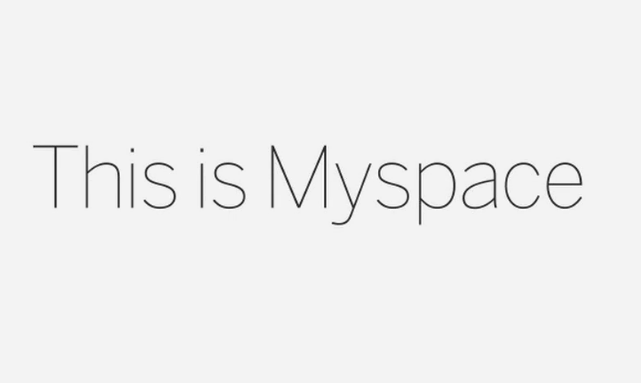 After you’re done LOL’ing at the thought that Myspace could actually make a comeback, you should check out the video below. While I still don’t think they will reclaim their spot as the leading social network, I do have to commend them on their efforts. The interface is aesthetically pleasing and resembles a few mobile magazine, blog, and newspaper interfaces (Ex: Flipboard, Pulse). You’ll notice at the beginning of the video that Myspace deliberately shows that it can be connected to Facebook and Twitter to find those same friends on Myspace. They’ve also channeled their inner Pinterest with a photo-heavy display. Staying true to themselves, they focus most of their features around music. I actually really like the idea of having a playlist alongside with the photo albums. It creates a sort of soundtrack to your life. Check out the video below of the “new” Myspace and let us know what you think. Make it full-screen for the full effect.